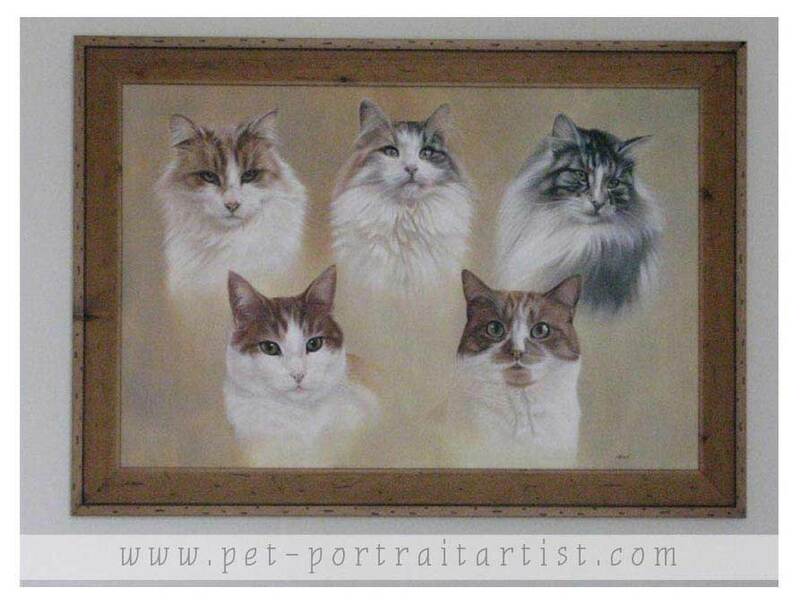 Louise from Scotland UK emailed us in December 2010 to ask if we would create a portrait of her 5 cats as a central piece of her soon to be renovated lounge. 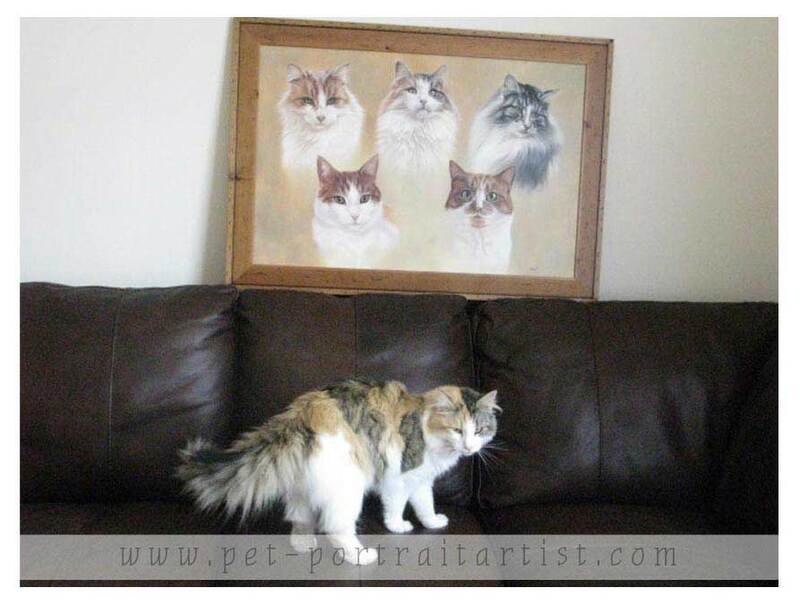 Nicholas started painting the portrait in March 2011 which was perfect timing with her renovation plans. 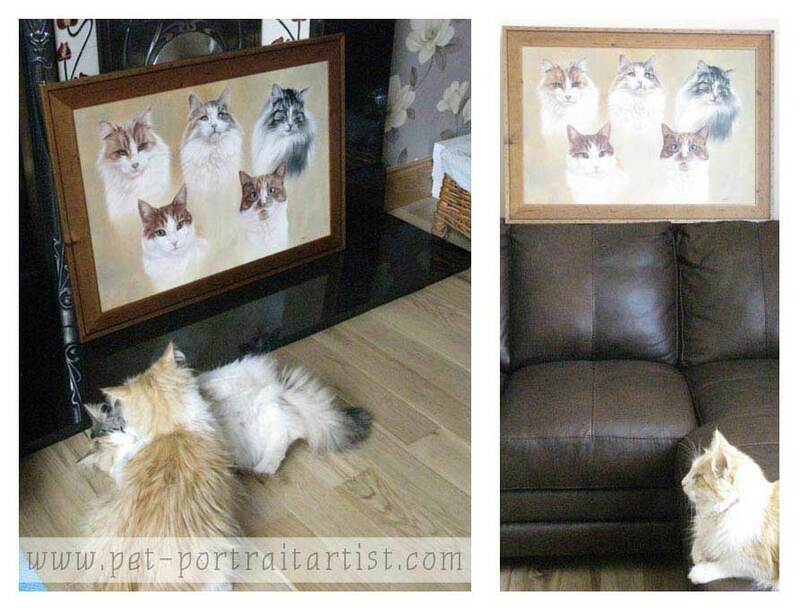 Louise was delighted with the portrait - as were her cats! 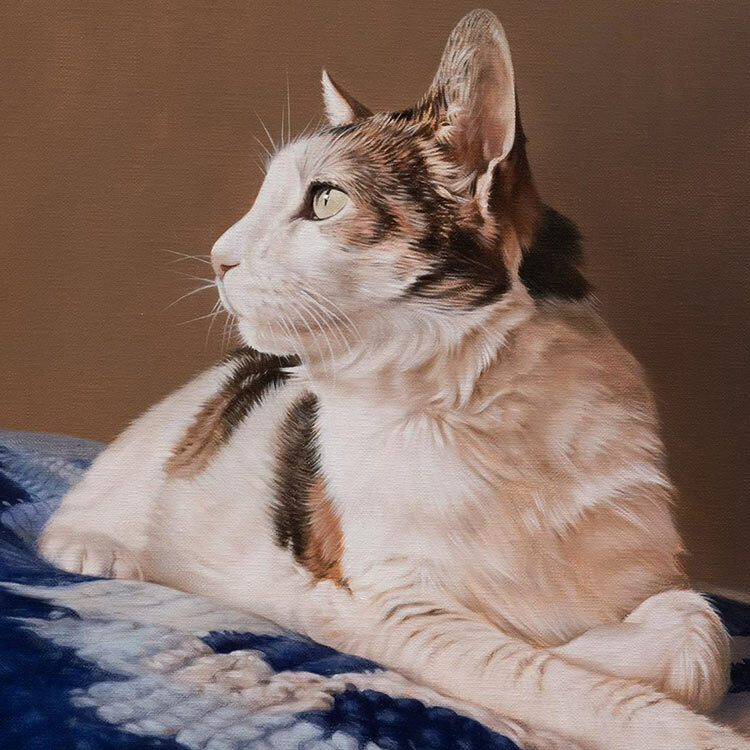 If you scroll through the photos, you can read some of Louise's lovely emails, comments on our portraits in progress blog and on facebook too. Louise very kindly took a whole range of photos for us to use on our website and have added them all here, they are just superb. I hope you enjoy viewing them. 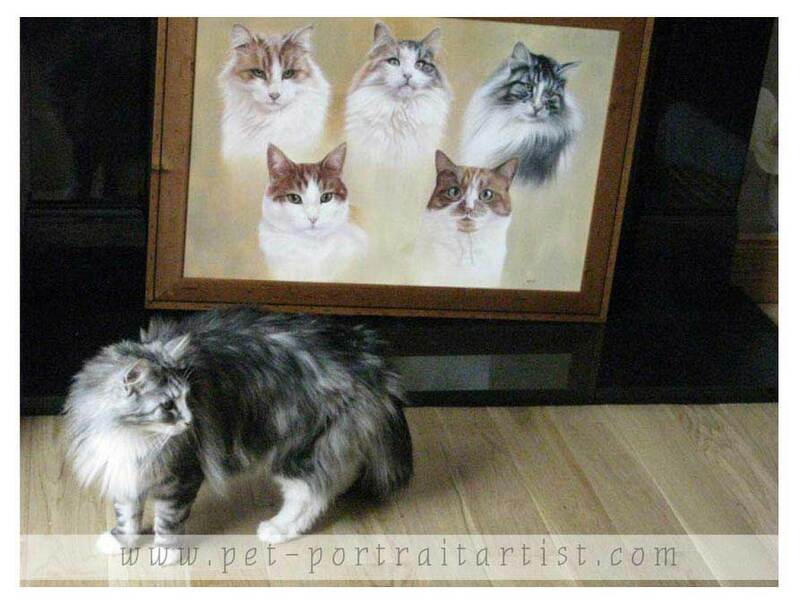 Louise wrote on our Facebook: "My cats ... in oil ... couldnt have asked for a more beautiful portrait. 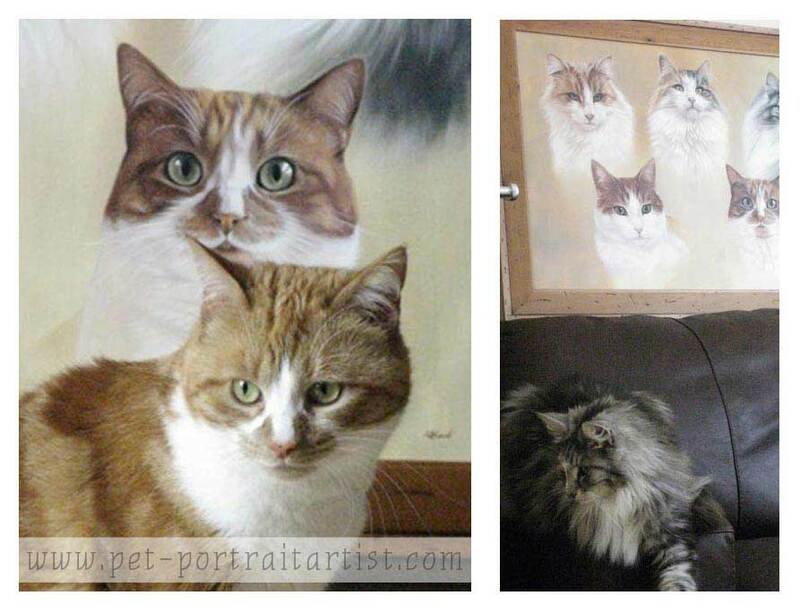 They are beautiful but the portrait almost makes them 3D... fantastic"
Louise wrote on our Facebook: Hi melanie, got my picture. It is awesome.... even better in the flesh..........Derek and myself and everyone that has seen it think it is stunning. 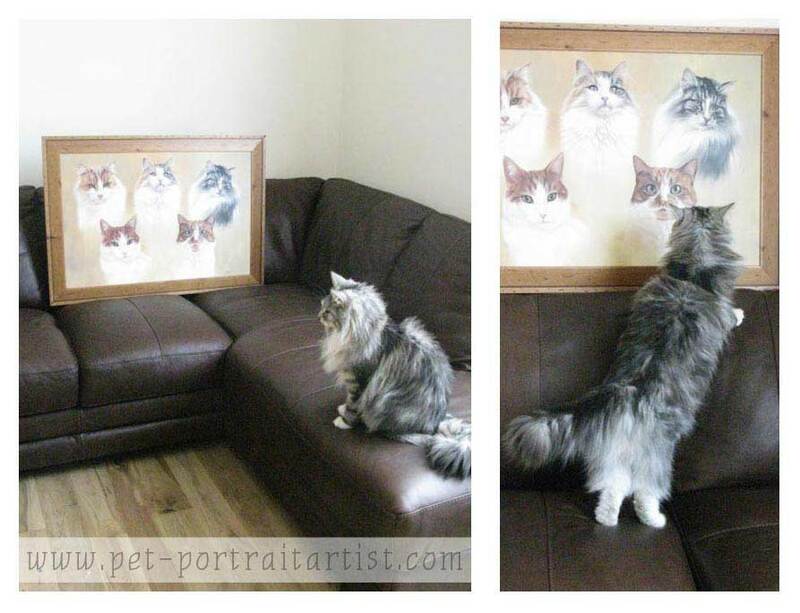 "truly a work of Art". Many thanks. 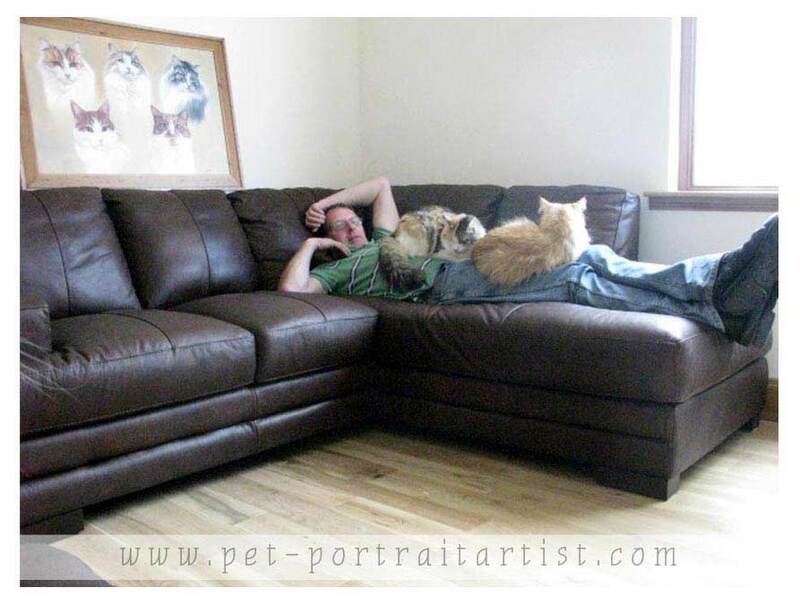 It was worth every penny. It was here for me arriving home of the boat. Very well packaged - took me ages to get in to it, patience is not one of my virtues..lol Anyway once again many thanks. 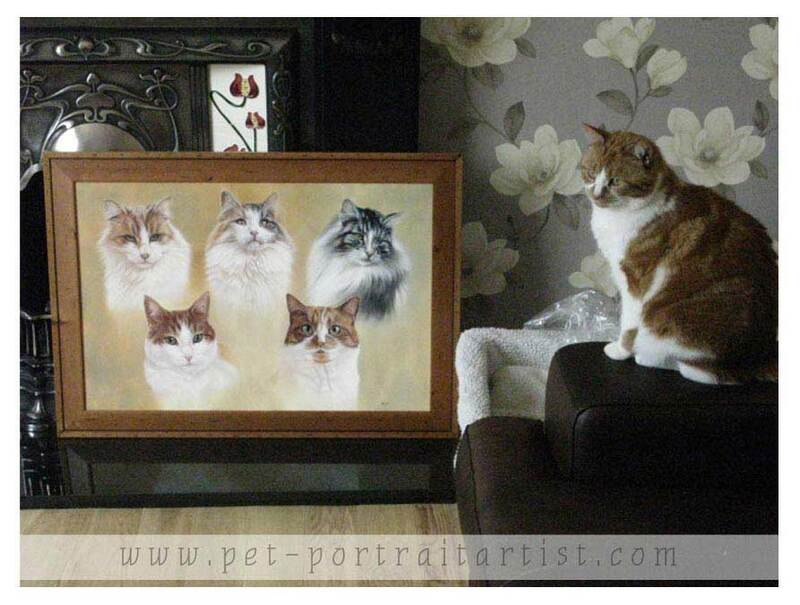 Will email you shortly and hopefully it wont be too long before its hanging in pride of place." 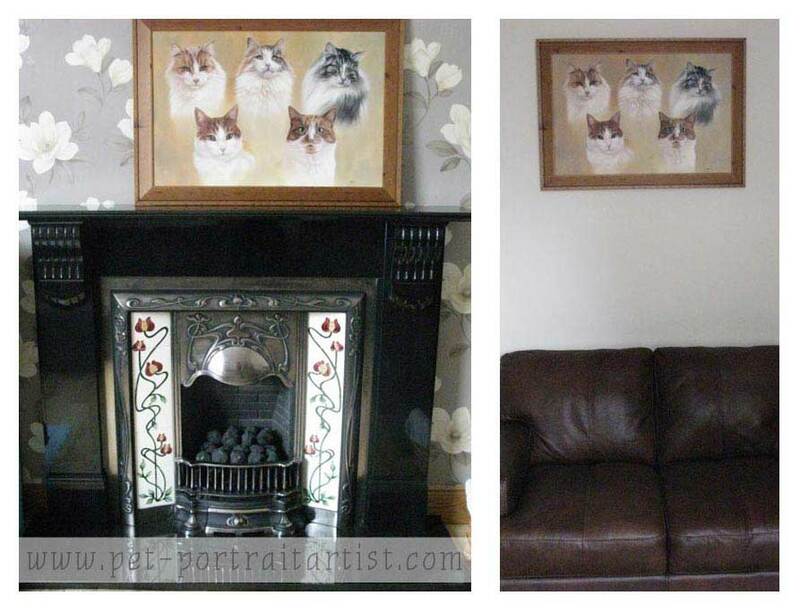 Well the picture is now on the wall. 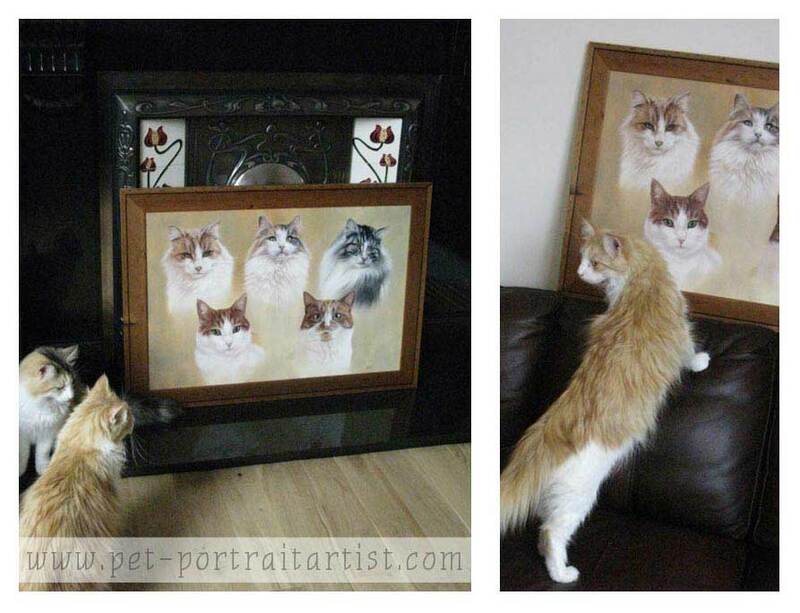 I let the kitties have a look at it before it went up...... The room isn't finished yet and the big high ceilings and lowish backed couch make it hard to envisage, but it does look great. Well it will do when there isn't rubbish lying about the room. 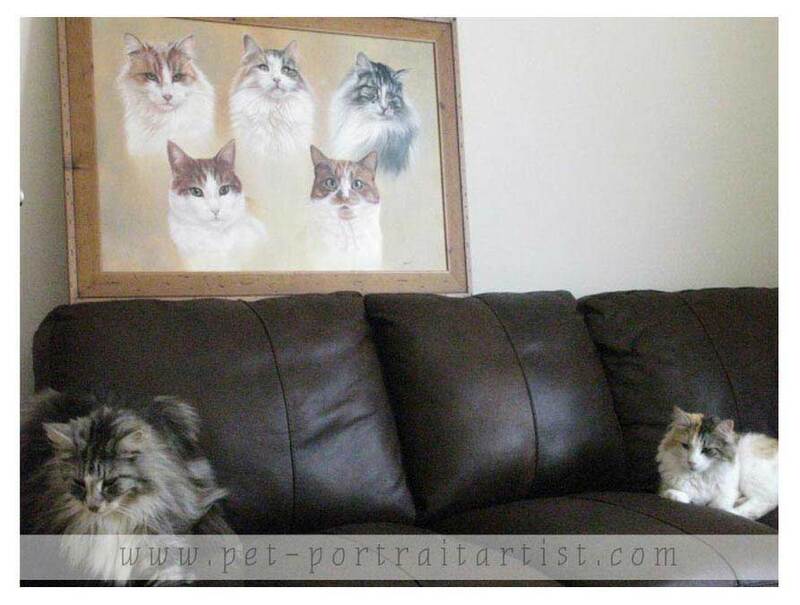 I will attach some piccies of the kitties with the picture. 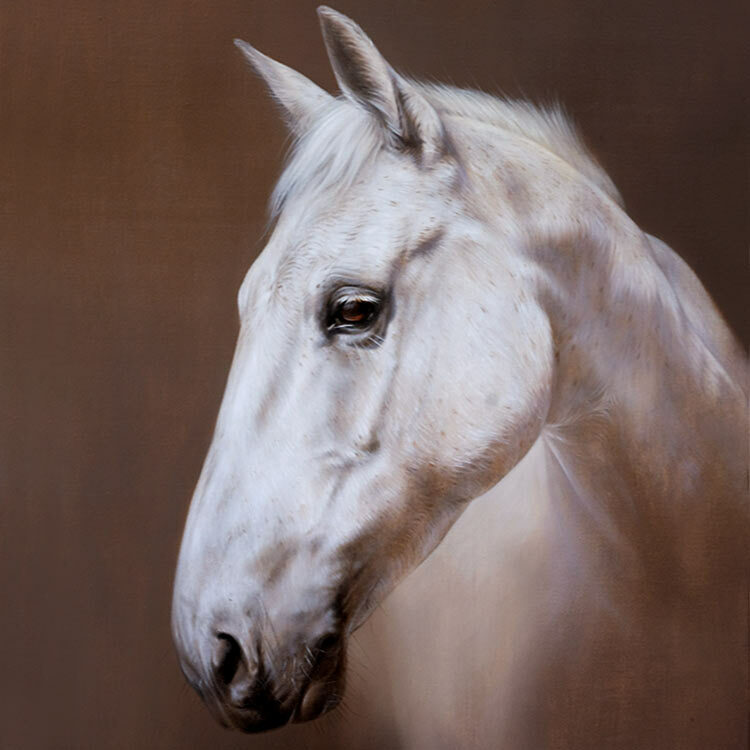 Hope you are both well youre site is brilliant.